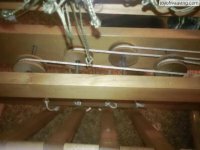 Now that I have the pulley system figured out and know how to balance the shafts and get them to hang at the proper height (this is done at the treadle tie up) which is just a bit below neutral, I can forge ahead with the cleaning. 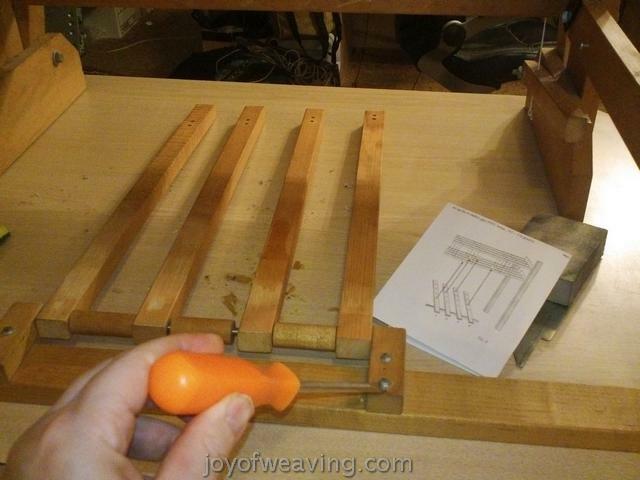 It's on the kitchen counter to make working on the lower half of the loom a lot easier. The silly masking tape/labels with the numbers have been scraped off. Next, I'll give a good rub with vinegar to get a lot of the dirt and grime off that has built up over the years. This will be followed with a good rub of mineral oil. I thought, while I'm at this level, I will unscrew the treadle mechanism and switch the threadles around so that they're in the configuration suggesed by Peggy Osterkamp which is 1-3-4-2. 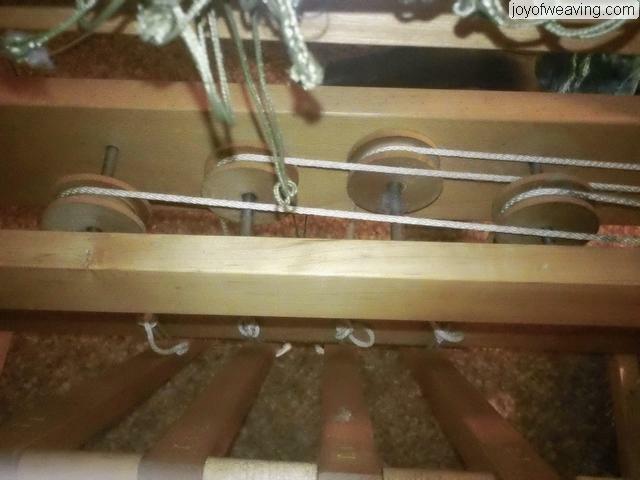 Unscrew the bar holding the treadles then switch them around. Slide the pulleys to their appropriate spots. All other pulleys remain the same.